Προμηθειών :: Οργανισμός Λιμένος Πειραιώς Α.Ε. Σας ενημερώνουμε ότι αναρτήθηκαν διευκρινίσεις επί του διαγωνισμού για την ετήσια μίσθωση και διαχείριση είκοσι (20) χημικών τουαλετών. Παρακαλούμε όπως επισκέπτεσθε την ιστοσελίδα του ΟΛΠ τακτικά για να ενημερώνεστε σχετικά με τον παραπάνω διαγωνισμό. Piraeus Port Authority S.A. is interested in proceeding with the procurement of Cylinder Steering for Straddle Carrier Kalmar CSC 350 & SISU . Interested parties are invited to submit their offers until 25 April 2019 and until 16:00 Greek time. Please visit regularly PPA SA website in order to be promptly informed about the above mentioned tender. Piraeus Port Authority S.A. is interested in proceeding with the procurement of CLUTCHES P/N N04011303H for Straddle Carrier Kalmar ESC 350W . 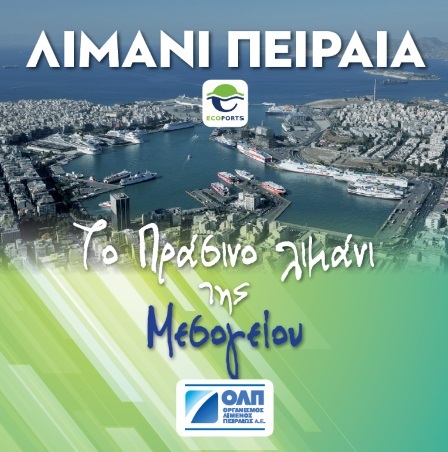 Interested parties are invited to submit their offers until 25 April 2019 and until 16:00 Greek time. Please visit regularly PPA SA website in order to be promptly informed about the above mentioned tender.